We recently traveled to Cancun, Mexico to celebrate our 10th Wedding Anniversary with the whole family. 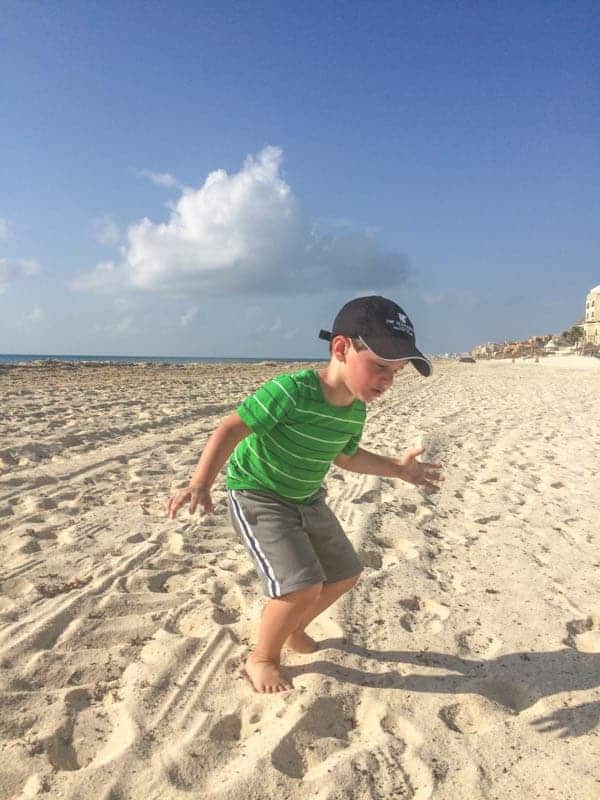 Here are 9 tips for visiting Cancun with small children. 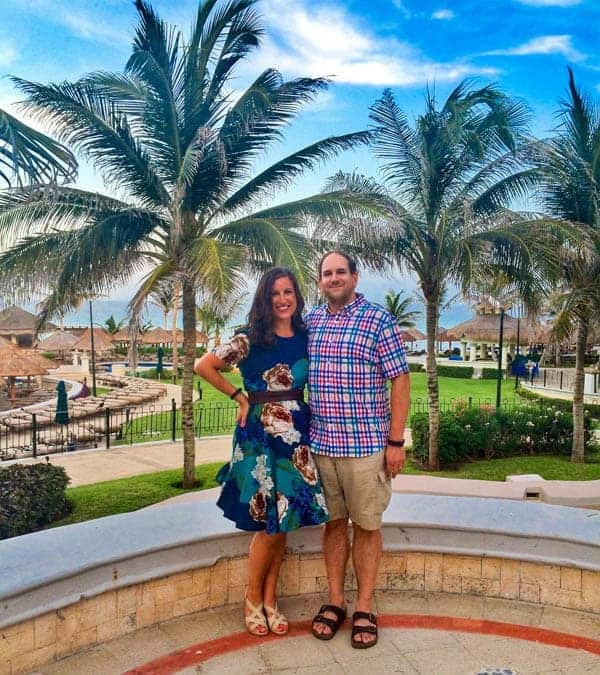 Earlier this month, my husband and I celebrated our 10th wedding anniversary at the JW Marriott Cancun for a week of relaxation and fun in the sun. We had visited Cancun once before, over 13 years ago after just 3 months of dating. 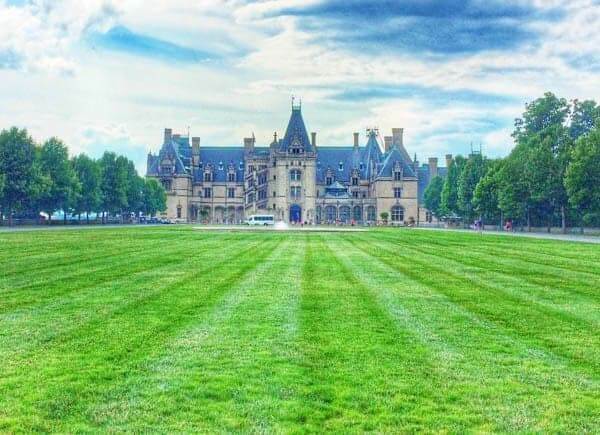 This visit was a bit different because we had our 1 and 3 year old boys in tow! 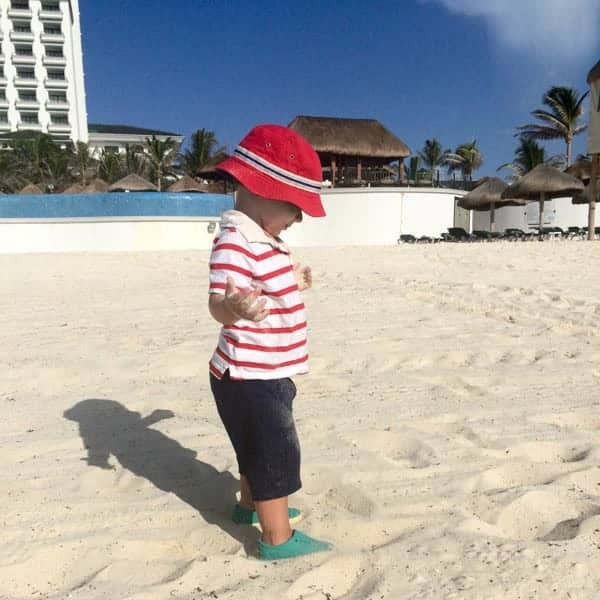 Let me tell you…Cancun with toddlers is a bit different than Cancun with 16 of your closest college friends. But guess what? 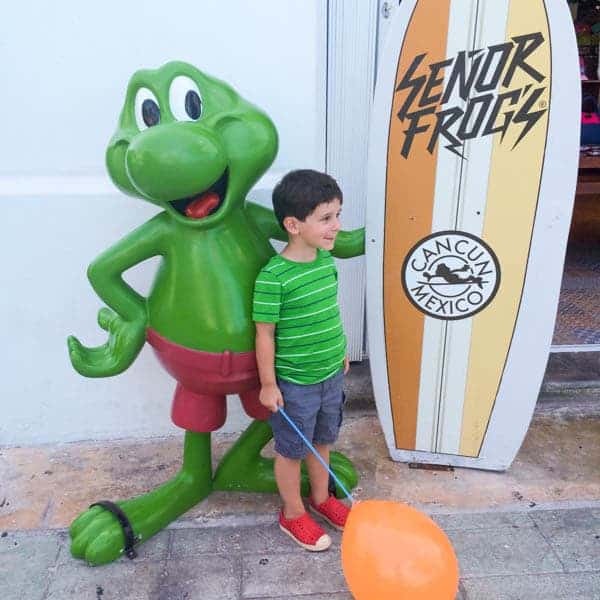 It was different in the best of ways and I can’t wait to share 9 practical tips for visiting Cancun with small children. This might be a no brainer but I can’t express the importance of having enough snacks when it comes to flying and traveling with young children. Admittedly, it looked like an obscene amount of food when I had it all ready to go but between the four flights, two layovers, shuttle rides and a week of hanging out in a hotel room, every last bite was devoured. The biggest hit of the trip? 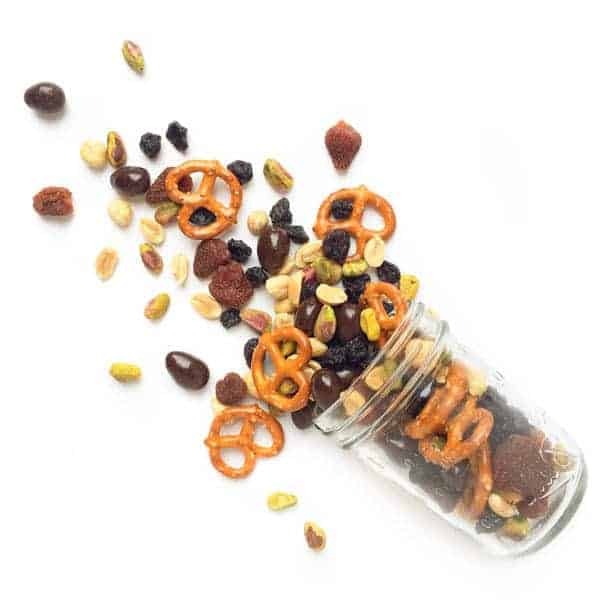 My Sweet & Salty Trail Mix. One lesson we learned early on when traveling with small children is that a one bedroom suite is always worth the additional investment. Our youngest goes to bed pretty early, usually between 7pm – 8pm. Depending on the time zone, that could be as early as 4pm local time. The last thing you want is to be stuck in a dark room trying to keep quiet so that the baby doesn’t wake up. Add in a noisy older brother who doesn’t want to keep quiet and you’ll be wishing you had a separate sleeping area. A suite is always worth it. Just think of all the money you’re saving by not hitting up Señor Frogs for late nights like the good old days. As much as possible, try to keep your daily schedule as close to normal as possible. As tempting as it might be to try and sleep in, skip naps or stay up late, it’s easier not to fight it and keep the routine as similar to home as you can. One tip we recommend to help with the bedtime routine is to bring a couple of their favorite books from home. We are big fans of Goodnight Moon so you better believe that was in our suitcase before we left home. 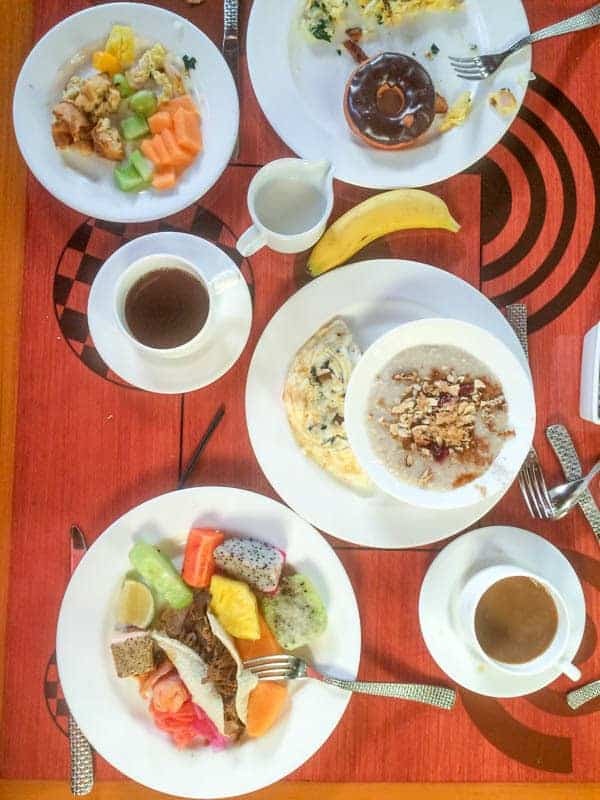 While waking up at the usual 6am isn’t always welcome on a vacation, the incredible breakfast buffet at the JW Marriott was always welcome sight first thing in the morning. My boys loved the fun and colorful juice display each morning. I don’t know about your kids but mine love to get out of the house and do something active in the morning. Not only does it lead to happier kids but it allows them to get out their energy which means they will be more likely to nap in the afternoon. Every morning we were in Cancun we got out of the hotel room for active play in the morning. 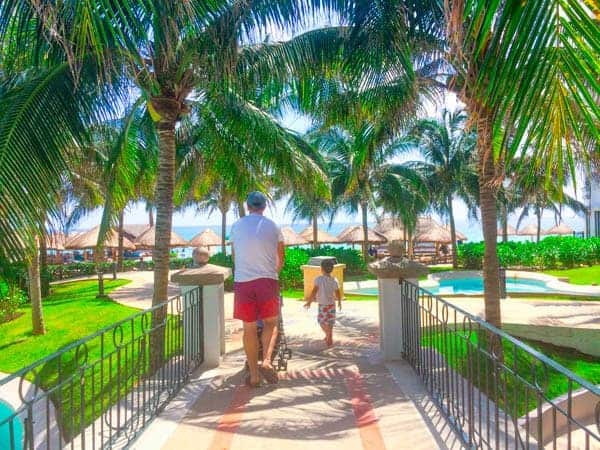 Whether it was swimming in the pool, exploring the neighboring CasaMagna Marriott (connected through a covered walk-way) or visiting shops downtown, we did something active together as a family. 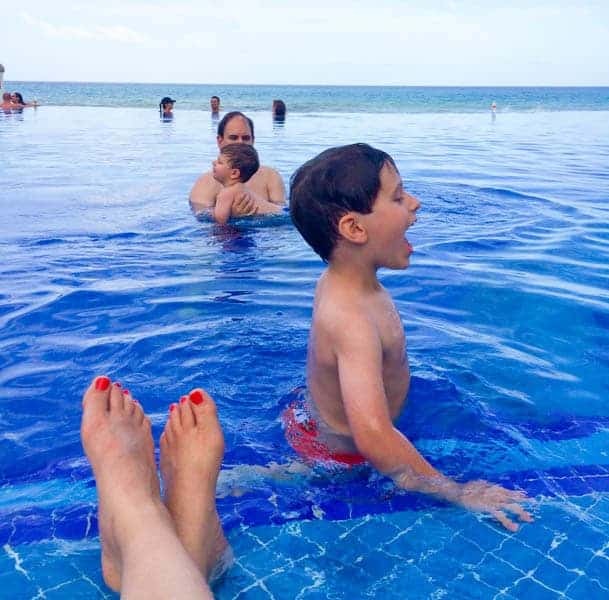 We spent a lot of time at the pools during our stay because the JW Marriott Cancun has several toddler-friendly infinity pools. Thanks to super shallow sections, our boys could easy splash on their own without us having to help them the entire time. Of course, it also connected to deeper sections of the pool where Mommy or Daddy could give them a ride. One tip we learned from another family with young kids is to pack small plastic pool toys to keep the boys occupied in the shallow section. A second tip? Bring music to the pool in case someone gets tired and wants to chill out on the padded chairs under the umbrella. Jacob took more than one nap listening to James Taylor streaming through our iPhones at the pool. 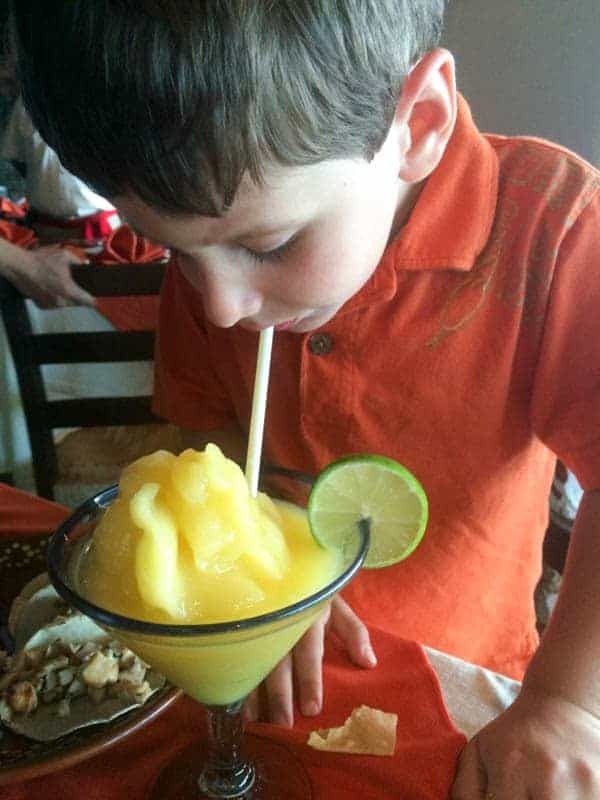 Speaking of other families, one of the best ways to learn about high-quality, family friendly dining in Cancun is to ask other families with kids while hanging out at the pool during the day. We discovered several incredible restaurants simply by asking around. 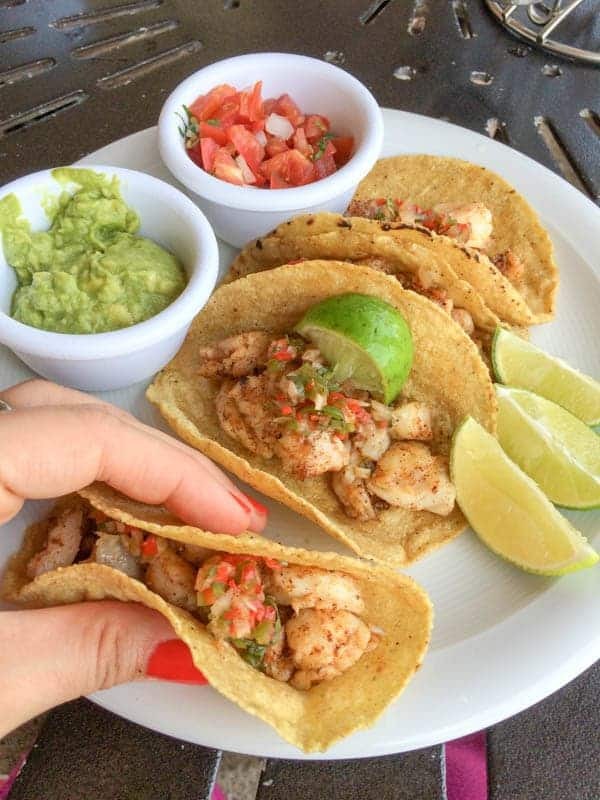 Fred’s Restaurant: Located directly across the street from the JW Marriott, this upscale seafood/Mexican restaurant was incredible and very accommodating to our children. Mikado: This Japanese Sushi restaurant is located inside the Marriott CasaMagna next door to the JW Marriott and offers everything from miso soup to traditional table-side hibachi. 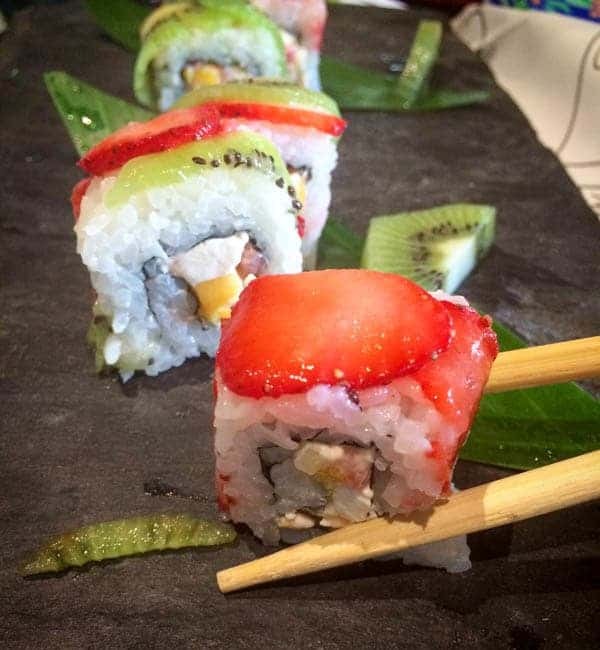 They surprised us with kid-friendly fruit sushi which our boys loved. Beach Walk: We ate lunch at the poolside BeachWalk restaurant right at the JW Marriott almost every day and not simply out of convenience. 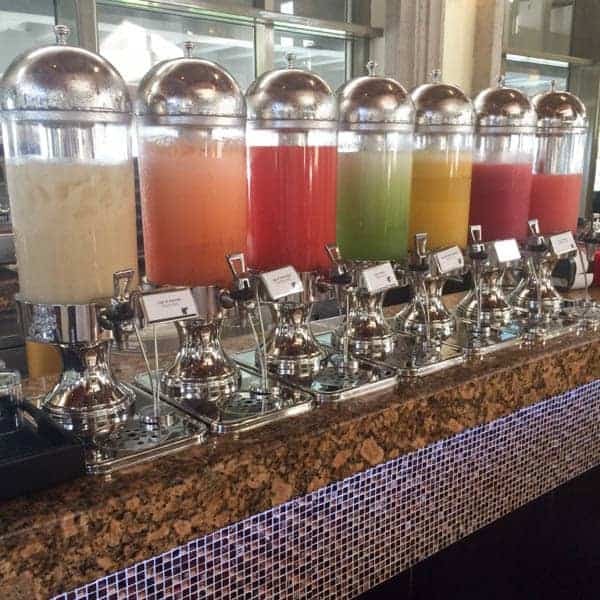 From the hummus to the fish tacos to the complimentary popsicles after your meal, this was a family favorite every afternoon. If you are traveling with small children, you will likely be spending a portion of your day with one or two little ones napping in the hotel room. And if you’re married to a man like I am, your husband will often join them for that nap. 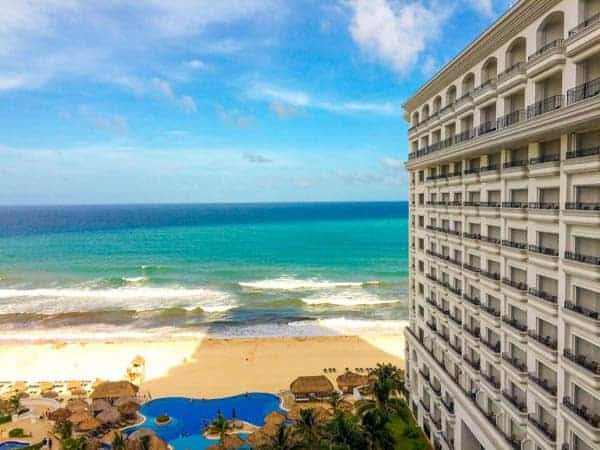 In lieu of sitting around in a dark hotel room in the middle of the afternoon, I would often enjoy this time on the balcony reading a book or watching the waves crash on the ocean. It was great to be in the sunshine and fresh air while still keeping the room dark and quiet for napping boys. The primary reason for our trip to Cancun was to celebrate our 10th Wedding Anniversary. As much as we loved having our two young boys with us, we really wanted to have one special meal for just the two of us. To help make this a reality, we took advantage of the JW Marriott’s high-quality babysitting services. If the thought of having a complete stranger look after your children scares you to death, you’re not alone. I was a little nervous myself but from the moment I walked in the hotel, I knew the staff was full of professional, highly trained Marriott employees. Even better? All of the babysitters staffed are Marriott employees of the hotel. In fact, our wonderful babysitter works in the “At Your Service” department at the hotel during the day. A mother herself, she was a complete natural with the boys and they were sound asleep when we returned from dinner. Last but not least, whenever you are flying or traveling with small kids, I can’t stress the importance of not sweating the small stuff enough! We got a lot of eye rolls and negative comments about the fact that we were spending a week in paradise with two young kids but honestly, it’s all what you make of it. Was it the most peaceful airplane ride of our lives? No. Were there some hectic moments? Of course. But we knew that going in and we decided to make the most of it. At the end of the day, my husband and I are firm believers in investing in experiences vs. material goods. We believe that our boys will gain more longterm by traveling the world than getting the latest toy or living in the largest house. We love traveling with our kids and want to empower YOU to have the confidence to do the same. Get out there. Have fun and enjoy! 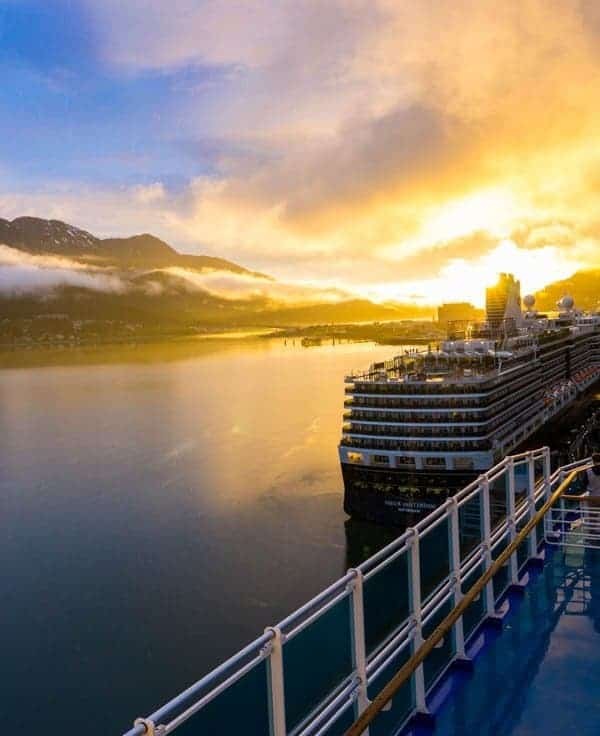 Your passport is waiting. For more vacation inspiration, head over to my Wanderlust Travel board! Follow The Lemon Bowl | Liz Della Croce’s board Wanderlust Travel on Pinterest. We’re taking our 5 month daughter to JW Marriott in Cancun in April. I’m go glad I found this as it reassures me we aren’t crazy!! I agree – it’s all how you make of it. Can’t wait to spend a week in Mexico with my husband and daughter as a new family. I’d love to hear your input on fun things to do downtown. I imagine we’ll be spending most of our time at the hotel pools and beaches, but it would be nice to venture out. Any tips or suggestions? Thanks for posting! 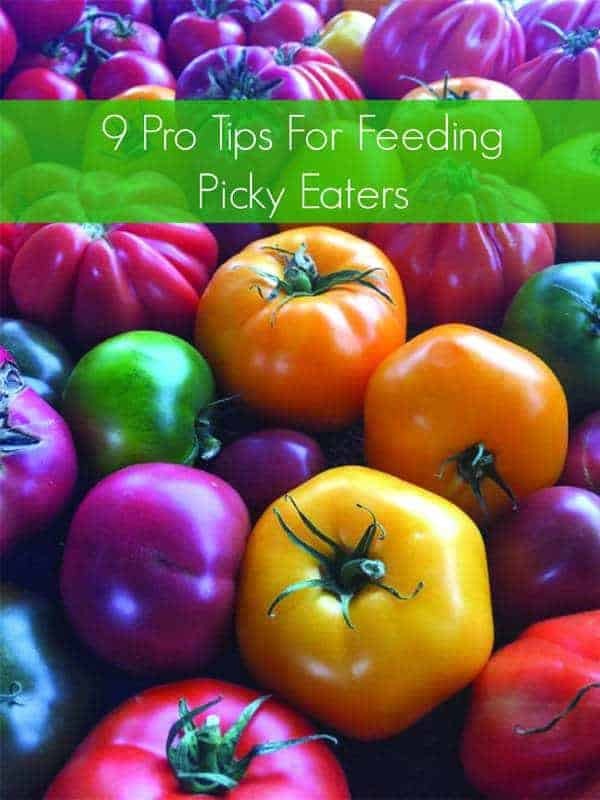 So many great tips here! I know from experience how trying, yet how rewarding traveling can be with young children. But even through the difficult parts, it is so, so worth it! I love that you were able to take advantage of the babysitting services to celebrate with a dinner out. Happy 10th! Exactly – I love that you understand!! I love that you also travel with your children – it’s so inspiring to fellow moms to see other moms making it work! These are all great tips for traveling with kiddos no matter what your destination happens to be. :) Looks like you all had a wonderful time on your trip! That’s the truth lady! Thank you! Sushi! Tacos! Totally sold. Living in Italy I get so sick of Italian food all the time. haha Is there anything better in life than sushi and tacos?! Liz, these are great tips – I’m so sharing them with my sister who travels with little ones all the time. Happy 10th anniversary, too! Even though mine are all in the “older” category now, I agree with all of your points. 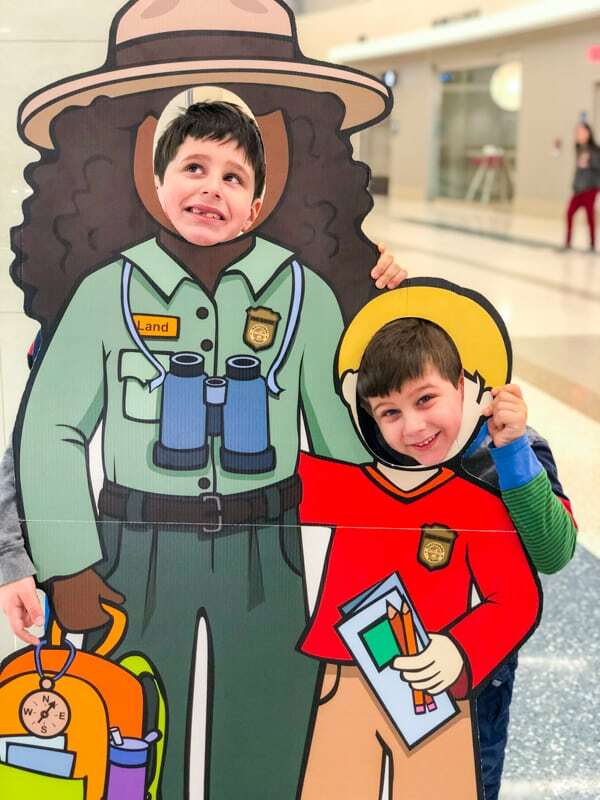 I think bringing the kids along is great – you’re helping to form their attitudes and behaviors towards travel (and everything else) at a young age. What a beautiful trip! And Happy Anniversary :). Although I no longer have little ones (my baby is 18 TODAY! ), I am with the “non-eye rolling” group! I admire you traveling to a place like Cancun with your boys. My son’s first flight was at 2 months and at 3 months we went to Europe (from California) and so it continued. Having your children travel from a young age is the way to go, in my opinion, but so many people believe that once you have children, traveling stops until they are older. I think that’s sad. These are all great tips and make for a much happier holiday, not only for your children, but ultimately for mom and dad, too! I can’t tell you how many people tell me they won’t fly with kids until they are 6 or older! If you have more than one kid, that could be years and years! 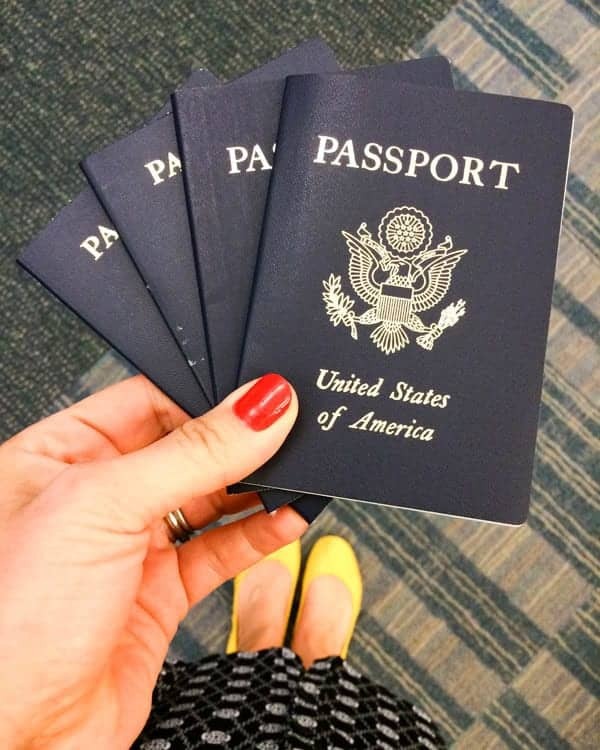 I love hearing that traveled to Europe with little ones – that is our next goal! I really think traveling with them from an early age is so important! Haha right?? I feel the same way when I travel alone! Hey girl- Such a great post! Love the pics! And your polish looks amazing! I would love to go! Thank you so much! I hope you get there one day Shawnna! My family agrees 100% with your values about experiences vs. material things. I’ve also read that trips that “inspire awe” can help children be more empathetic and have a better sense of their place in the larger world. 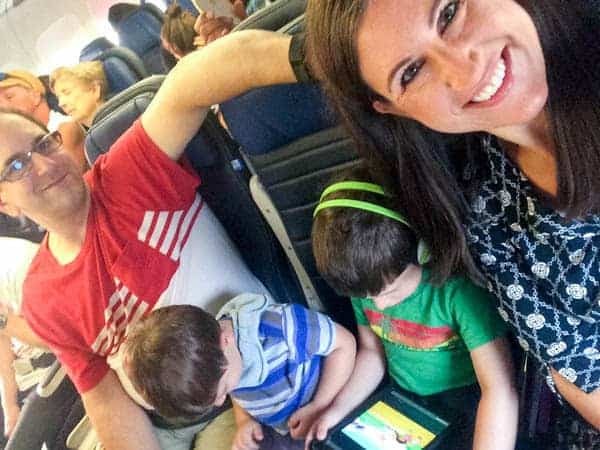 I personally freak out every time we take the kids on a plane, but my husband always points out that I’m really the only one not doing well – the kids are usually fine! Ha!